Welcome to Cedar Creek...Coquitlam's best town home value! 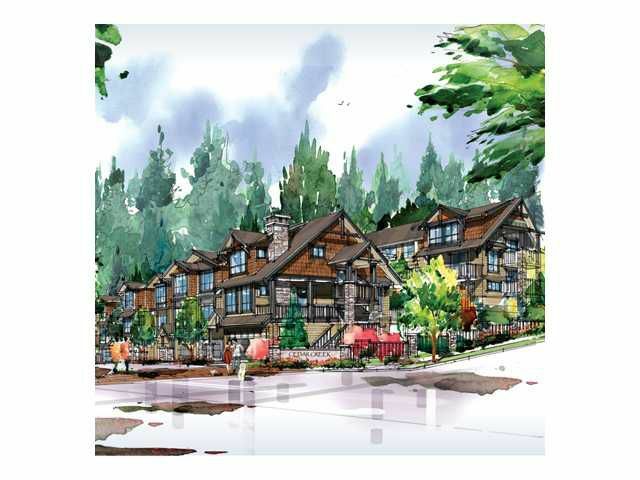 Located in the new master designed community on Burke Mountain. New 3 and 4 bedroom units surrounded by expensive homes with fantastic southerly views. Quality features includeBosch appliances, Maple shaker kitchen cabinets with gourmet island, granite countertops with under mount sink and designer faucet. Spacious floor plans with double, single and tandem secured parking and soaker tub and shower ensuite with granite in vanity and drop designer sinks...quality plus and you won't be disappointed...Sales centre open daily 12 to 5pm closed on Fridays. After hours appts are available upon request...check out cedar creekhomes.ca for more details.